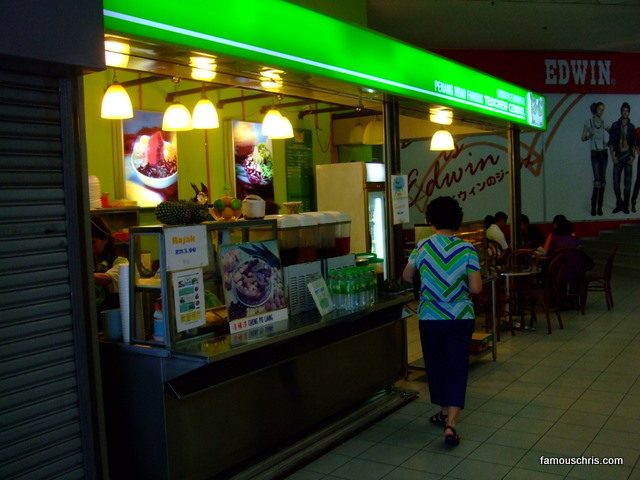 09.15 am – Had curry mee for breakfast. 12.00 pm – Checked out Apple’s super cool, latest RM6000 27″ all-in-one iMac. 01.28 pm – Had lunch with my aunts. Shared a giant seafood platter. 03.16 pm – Went down to Prangin Mall to get my aunt’s glasses fixed. Had Penang Road’s teochew cendol in an air conditioned environment, unlike having it under the hot weather at the original stall. The 3 ingredients that make up the cendol. 07.11 pm – Had Mohd Raffe’s awesome nasi kandar for dinner. 08.30 pm – State of Play @ home. Super awesome movie. 10.43 pm – Thanks for the pau som, Mom! Whats the cendol ingredient in the middle? Red beans? You are right! red beans it is.